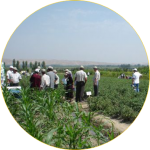 The Crop Research Department engages itself in carrying out research in crop production, projects in the crop sector and other crop associated activities. 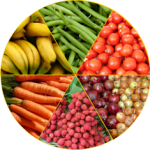 The research activities mainly focus on foodcrops and fruits. 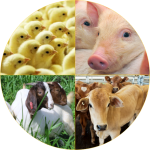 In parallel the Livestock Research Department covers the field of animal science focusing mainly on research activities related to cattle, goat, sheep and pigs. However, the department is also responsible for other species as per the needs and specific requirements of our farming community. The Extension and Training Department mainly caters for the needs of the farming community and other stakeholders in terms of transfer of technologies tested and developed by the two research Departments. It also engages in the dissemination of agriculture and food processing related information and training of farmers in various aspects of crop and livestock production. 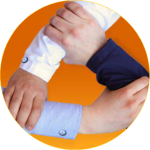 The Central Services Department through its Divisions and Units provides technical support to the different Departments and to stakeholders as the needs may require.